On Tuesday, Debbie Frost, VP for International Communications and Public Affairs at Facebook posted the above response to my blog, in which I explained the reasons why ICT launched a petition to Facebook concerning the deletion of a post by Woeser that included a video of the self-immolation of Kelsang Yeshe. First of all, let me say that I welcome the decision by Facebook to respond. I appreciate the opportunity to have a dialogue on a critical issue that has raised the concerns of Facebook users and many other citizens. At the same time, I believe that this response misses the main point that led us to take the decision to launch this petition. 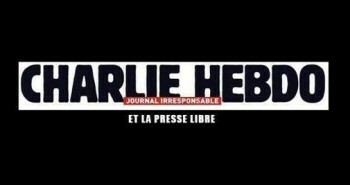 The point is that the existence of freedom of expression can be seriously assessed only when “controversial” issues, and in particular social and political events, are considered. Strong emotions can be stirred up in the political arena, and only there can the respect of freedom of expression, and its limits, can be properly evaluated. Now, clearly, a public self-immolation is an inherently political action (whether or not one agrees with this kind of action is not the point under discussion here) and although the images can be very graphic and disturbing, the decision to ban or delete such videos from Facebook is not purely a technical choice, but rather a very serious political decision. The International Campaign for Tibet’s petition, quickly signed by almost 8,000 people from all over the world so far, calls on Facebook to consider these videos for what they are: a tragic call for attention by people who have no freedom of expression and who are crying for the help of the outside world to end China’s repression in Tibet. Facebook operates in the so-called free world and these individuals are taking these actions in a closed society precisely so the free world will take note and do something to intervene. Banning such videos means first of all denying Tibetans the right to be heard. Sadly, 136 of them have taken this tragic decision since 2009 inside Tibet. What was also disturbing was to see this video deleted on the Facebook account of Woeser, a Tibetan who posts critical information about the situation in Tibet from China, while the same video continues to be available on other Facebook accounts. Also, although previous posts by Woeser about self-immolations were not removed, this happened for the first time a few weeks after the head of the Chinese internet censorship machine was welcomed at Facebook headquarters and Facebook CEO Mark Zuckerberg publicly praised a book of speeches by Chinese Communist Party leader Xi Jinping, telling his staff that “I want them to understand socialism with Chinese characteristics”. If Facebook wants to be believed when saying that “Any suggestion that we took action because of politics, philosophy or theoretical business interests is completely false,” it has only one simply way to prove it: restore the video on Woeser’s account. If you wish, as we do, you can add a warning about the graphic images for the viewers to see, so they can make an informed choice. Deleting it is not really the way to go. To our members and Tibet supporters around the world: please continue to sign our petition until we achieve our goal and restore freedom of expression on Facebook. 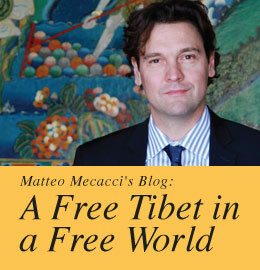 Matteo Mecacci, is President of the International Campaign for Tibet. Born in Firenze (Florence) Italy, Matteo Mecacci, studied International law at the University of Firenze. He represented the Transnational Radical Party and No Peace without Justice at the UN in New York from 2001 to 2008 and later served as a member of the Italian Chamber of Deputies as well as an elected official of the Organization for Security and Co-operation in Europe (OSCE) Parliamentary Assembly. In that capacity he participated in over 20 election observation missions, including as OSCE Special Coordinator in Serbia and Belarus in 2012. 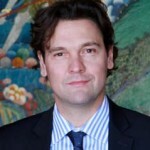 He was appointed head of mission of the OSCE/ODHIR election observation mission in Georgia in 2013. He served as Chairperson of the Italian Parliamentary Intergroup for Tibet, and in 2009, he organized the 5th World Parliamentarians Convention on Tibet in Rome. He was Co-chair of the International Network of Parliamentarians on Tibet (INPaT) and played an active role in promoting Tibetan democracy in exile, and was a Co-Chair of the Tibetan Election Observation Mission in 2011.